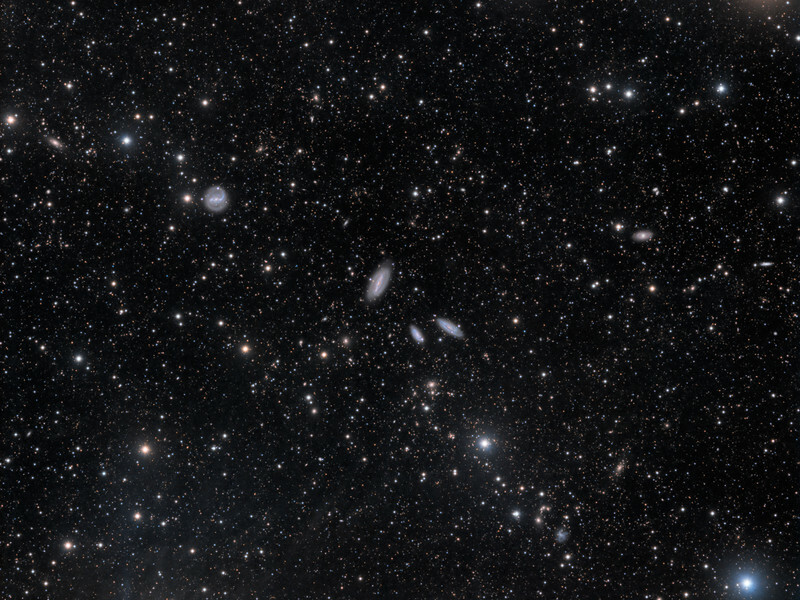 Northeast of Theta Gruis are four interacting galaxies known as the Grus Quartet. 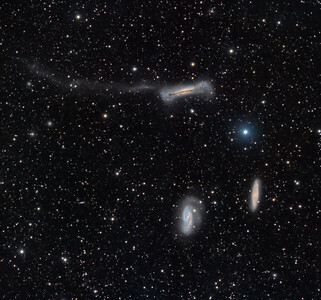 These galaxies are NGC 7552 ( at the top left, a lovely face-on barred spiral), NGC 7590 (in the middle), NGC 7599 and NGC 7582 (the pair at center right). 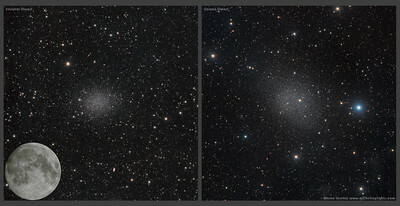 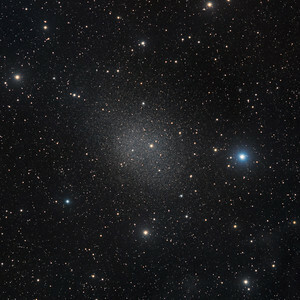 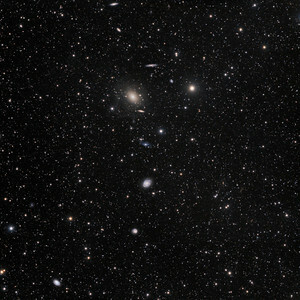 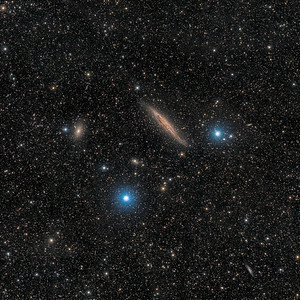 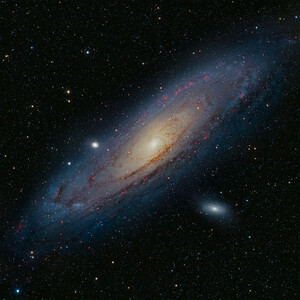 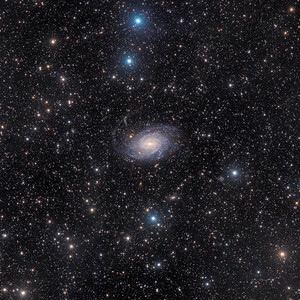 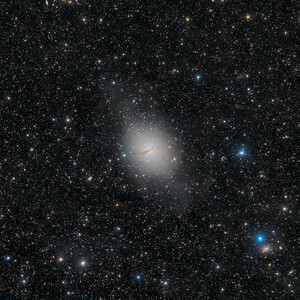 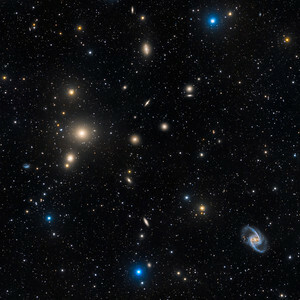 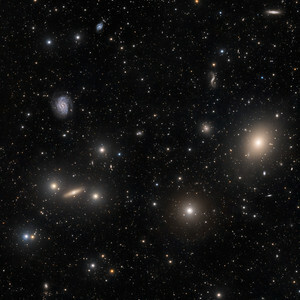 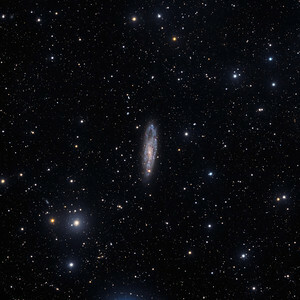 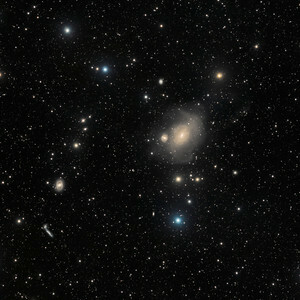 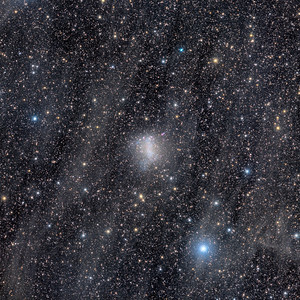 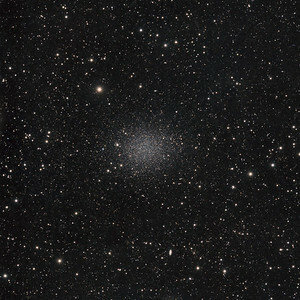 The latter three galaxies occupy an area of sky only 10 arcminutes across and are sometimes referred to as the "Grus Triplet," although all four are part of a larger loose group of galaxies called the IC 1459 Grus Group. 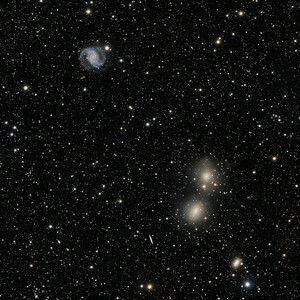 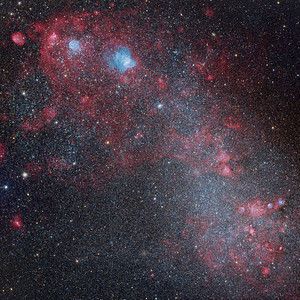 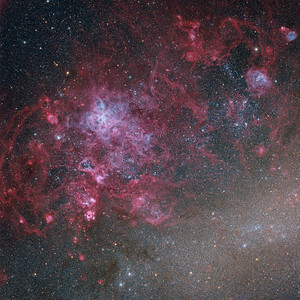 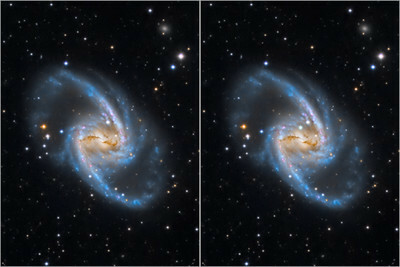 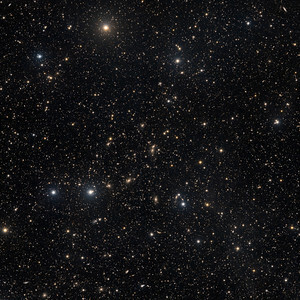 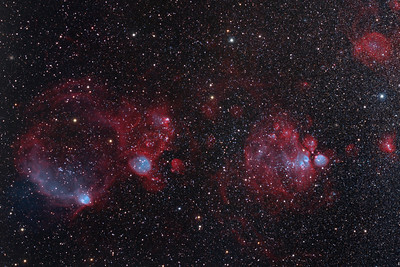 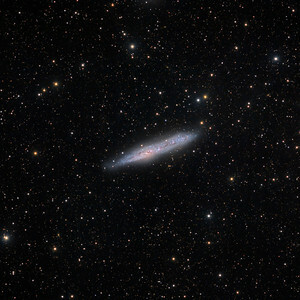 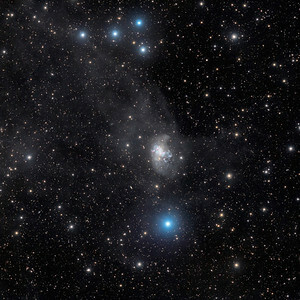 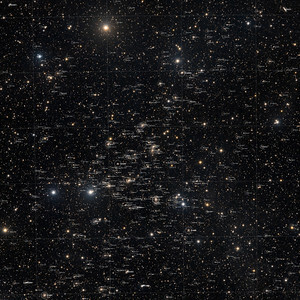 NGC 7552 and 7582 are exhibiting high starburst activity; this is thought to have arisen because of the tidal forces from interacting (text adapted from Wikipedia).